Sometimes, most cars or vehicles that we own does not last or function the way we expect them to function. We need transportation to almost get everywhere these days, and in most cases, the common form of transportation we often use is cars. It is very important to keep the engines running and on the road every time to get places. Your vehicle or car at some point may show some signs of faultiness or issue as time goes on, especially when you need it the most for some errands or head off to work. The check engine light usually shows up next to the speedometer in most cars when you glance down at it. The “check engine” light generally comes on to alert you of a problem. The check engine light plays a major role in your vehicle and it is part of your vehicle’s onboard diagnostic system, which monitors the engine through several sensors within the car. The main purpose of this system is to detect and discover if there is a fault concerning emissions. If it is the system that finds an issue, it will brighten or flush the check engine light. This usually signals a time to schedule or visit the mechanic for a checkup. This can sometimes get tricky because the check engine light could mean anything since it often generalizes the issue or problem of the car or vehicle and it could mean anything. The light doesn’t tell you what the exact problem or the issue is, but it informs you that there is an issue. To find out, you’ll need to check in with a car expert or with a mechanic in order to be able to create a scan on the vehicle to get the code that reviews the issue. You can also perform a self-check and find out the issue by using a code scanner. This device can be plugged into the vehicle’s onboard diagnostics system (OBDII) port and pulls the error codes from the system. Depending on the scanner, it can either give you the error code or the scanner will decipher the code and tell you what the problem is. Engine Light Repairs Made Easy. Get Engine Repairs in Duluth, Lawrenceville, Buford Georgia Area. Depending on the problem, the engine light could either stay on or flash periodically when the car is on. Non-flashing light often requires immediate repair and assistance, because the issue can sometimes grow into a bigger problem if not addressed by any means. 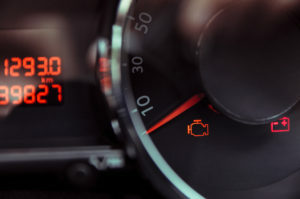 Flashing light can sometimes mean that there is a serious issue also needs a checkup at the mechanic as soon as possible. There are many reasons why the check engine light could come on. We’ll start with the simplest issue, the gas cap. If you notice that your check engine light is on, you should first if the cap is fully tightened or has been lost. If not, the cap may somehow be damaged. The gas cap may seem like inconsequential part of a vehicle, but it plays a key role in the fuel system. The cap seals the fuel tank and keeps gas from evaporating. If your check engine light comes on, this should be the first place to investigate. When the Check Engine light comes on and it keeps flashing, getting the car checked should always be the first option. But in most cases, most people tend to do nothing or forget about it. In some cases, older cars could end up costing more or less to fix because of its obsolete contents, but there are some drivers who usually ignore the signal until the car breaks down. Getting the check engine light early usually can save a lot of money in most cases and also help pass your state’s vehicle inspection test.